For the marinade: In a medium glass bowl, mix together the onions, garlic, oil, vinegar, lemon juice and salt and pepper to taste. Preheat the grill on high. Oil the grates well. 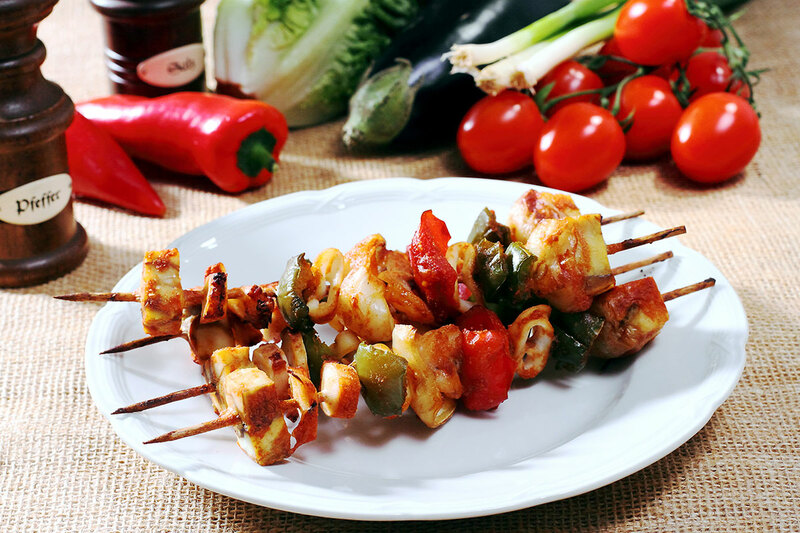 For the fish skewers: Thread the marinated fish and squash onto the soaked skewers, 2 pieces of fish per skewer. Place 1 cherry tomato on the end of each skewer. Place on the grill and cook until lightly charred on the outside and the fish is just cooked through, 3 to 4 minutes per side. Serve with your favorite sauce or pesto. We’re happy to take phone orders. 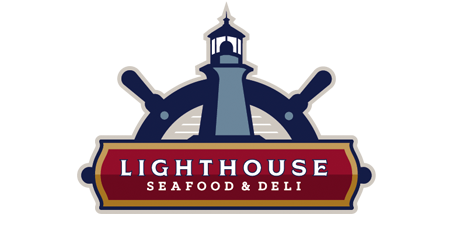 © 2019 Lighthouse Seafood & Deli. All Rights Reserved. Web Design by Octavo Designs.